Chris Bleicher is a contemporary artist who is regaled for her work in neon. 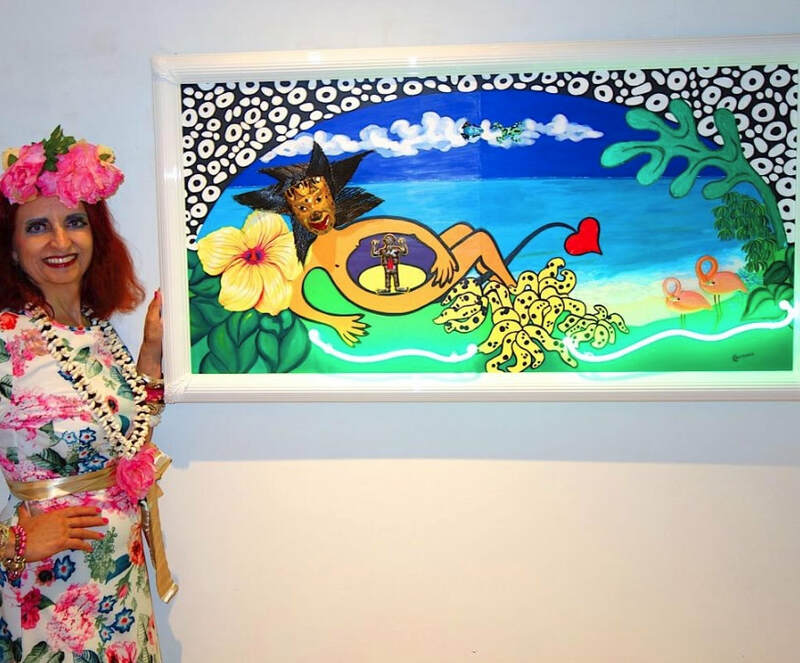 A celebrity in her native Germany, Chris’ art has been exhibited throughout Europe, Asia, and North America. 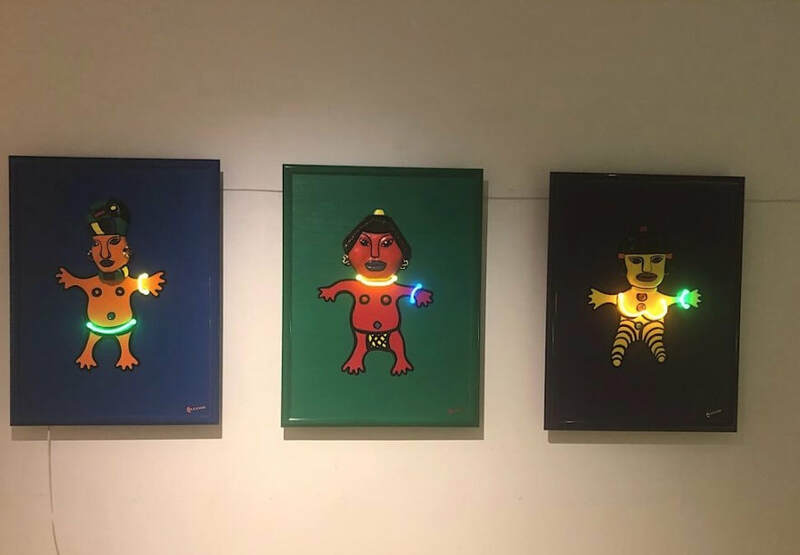 Now from September 5 to September 23, 2018, six of Chris’ recent neon artworks will be on display at Manhattan’s Artifact Gallery. 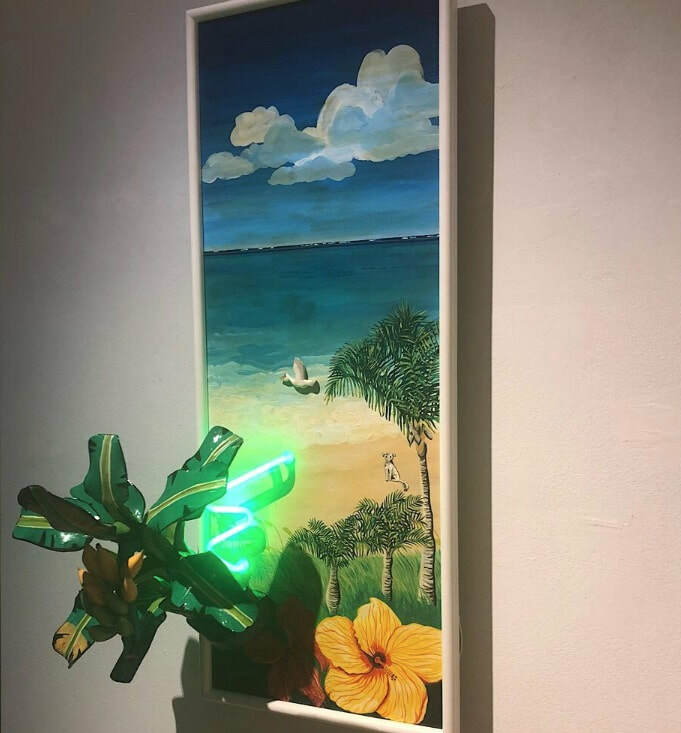 “Neon Paradise” is the title of the exhibition and it is inspired by Chris’ travels to the Caribbean Islands Turks & Caicos and other exotic locations. 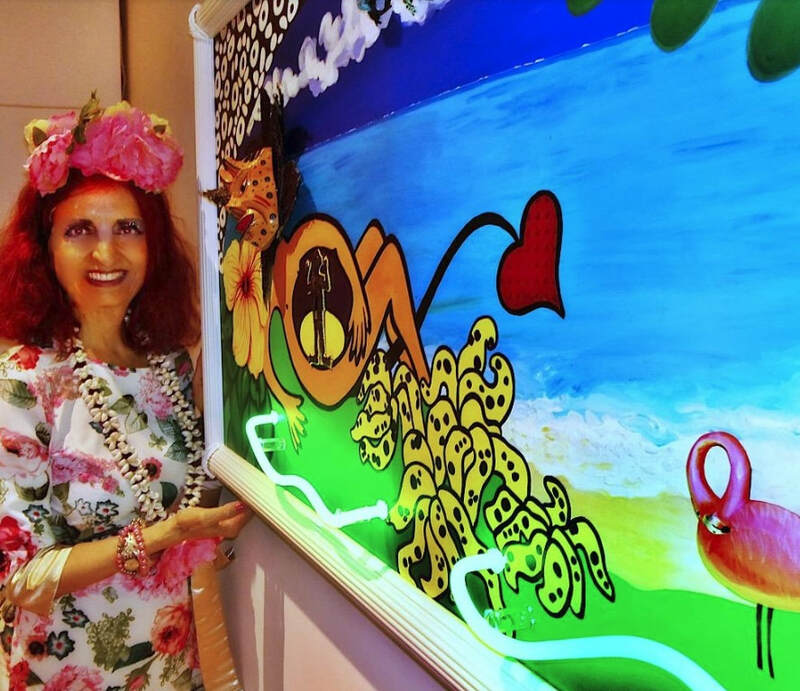 Traveling has always been a major source of inspiration to Chris and her colorful, playful, abstract-meets-Pop-art style that is instantly recognizable. Chris’ art celebrates the joy of living and throws in many elements of humor and ecologicalism. An avid animal lover, Chris’ art often depicts various creatures. 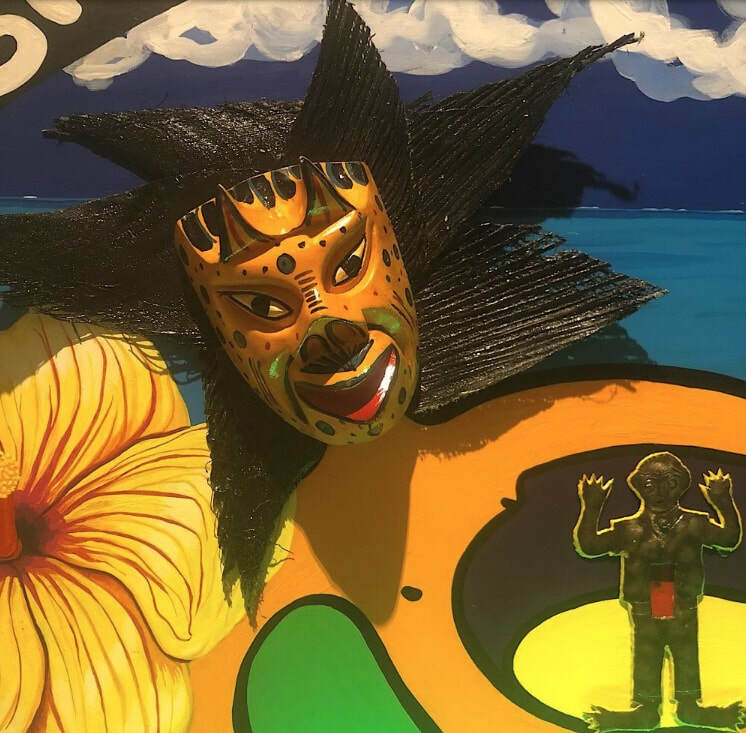 “The Devil Rests in Paradise” is a vibrant and humorous depiction of a yellow demon-like figure reclining on a pristine sunny beach with a man in his belly, a grin on his face, a flower at his back, and many fruits at his feet. 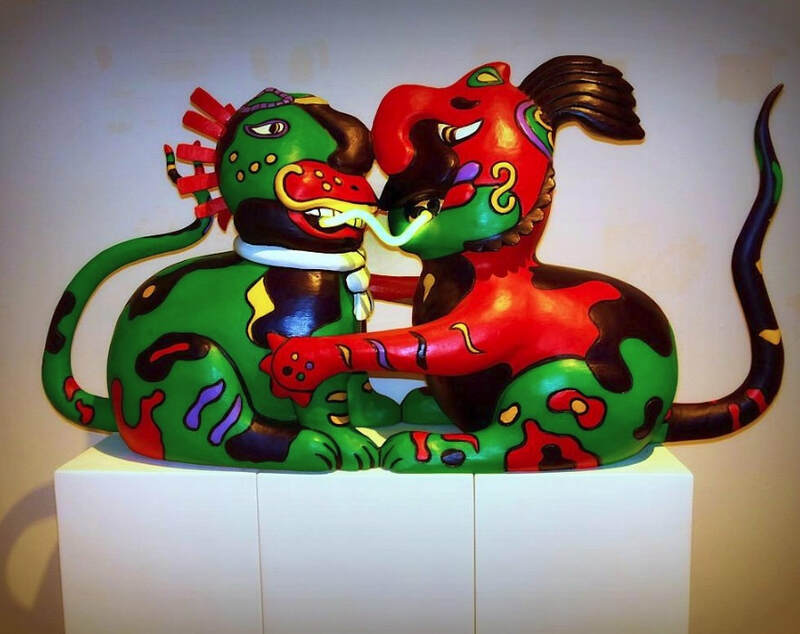 Finally, the exhibition also features as handcarved wooden culpture titled “The Jaguar’s Love” which features two abstract jaguar figures rendered in vibrant colors embracing with a strand of neon connecting them, symbolizing their love. The Artifact Gallery information is below.